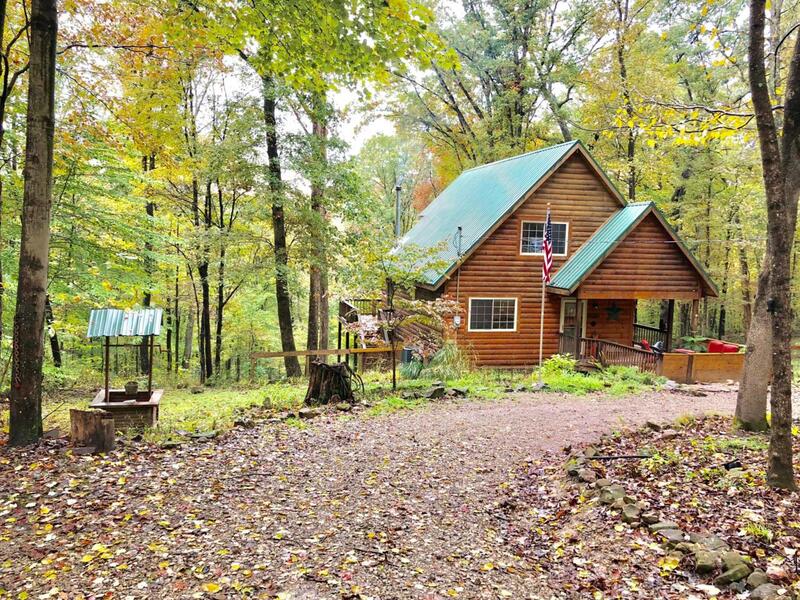 This gorgeous log home is waiting on you! 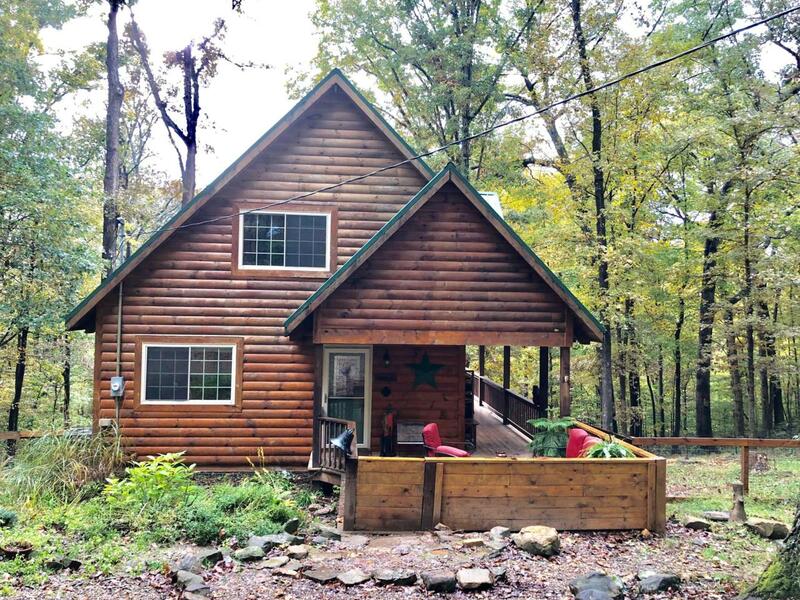 A 3 bedroom, 2 full bath cabin with knotty pine ceiling beams, cathedral ceilings, hickory cabinets, and walnut floors. 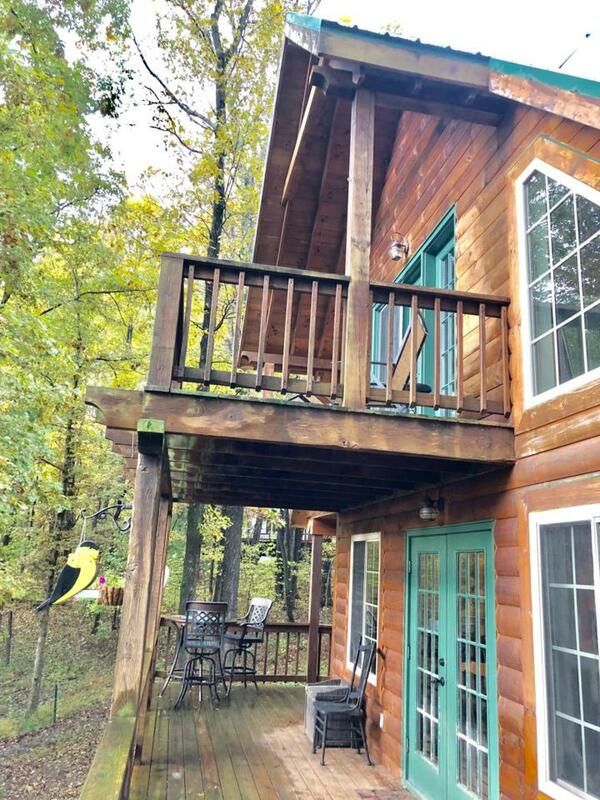 It could make a lovely full-time home, or a fantastic rental. 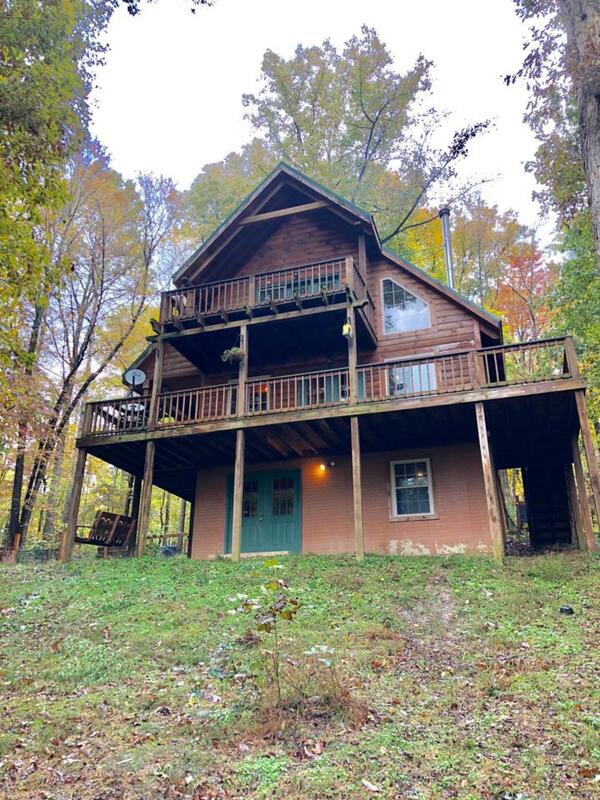 Relax with your coffee in the morning on the bedroom balcony, or entertain friends and family in the lower level living room and start a bonfire somewhere on the 2.42 acres! Listing provided courtesy of M. Tenessa George of Rise Realty And Management Co.